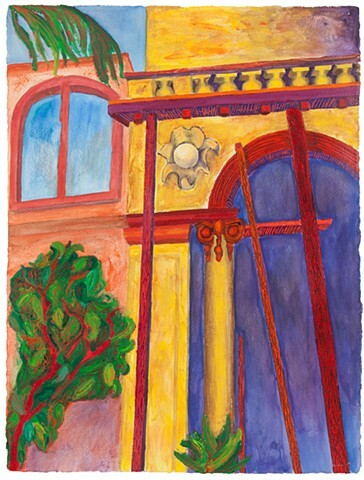 Joanna Pinsky www.joannapinsky.com is a painter residing in Evanston, Illinois. 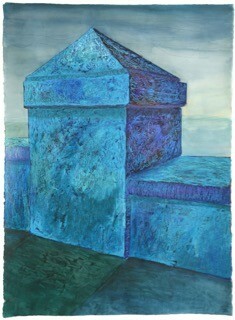 She creates two dimensional shaped paintings and rectangular works on paper. Over the years, she has explored color and perceptual concepts, textural works pitting off natural materials such as sand, gravel and sawdust against geometric shapes in abstract shaped canvases. 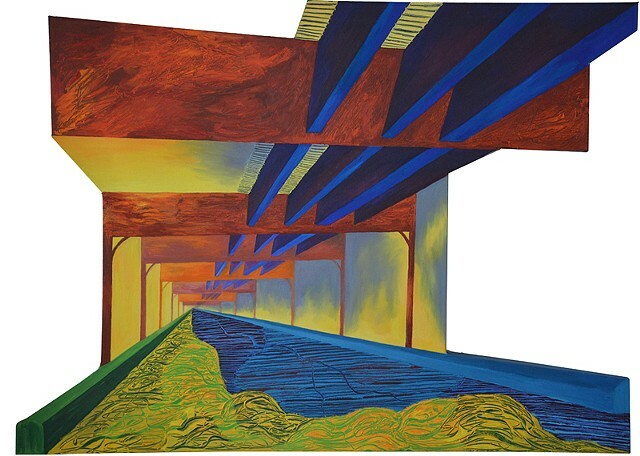 Later she explored shape, color and texture to create paintings based on images of architectural structures such as factories and bridges. 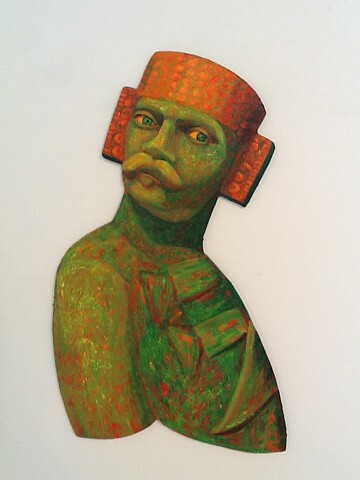 These evolved into images of architectural fragments and sculptures of heroes inspired by many trips to Cuba. Painted with layers of contrasting colors and textures on gator boards, the works are arranged in unexpected positions so that they seem to be whirling in space. They represent the mix of memories we possess that fly through our minds at different times. 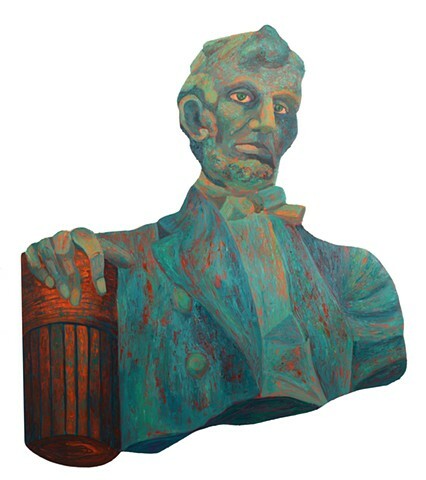 Most recently, Pinsky has been combining images of Havana architecture and heroes with images of Illinois architecture and heroes including Abraham Lincoln. 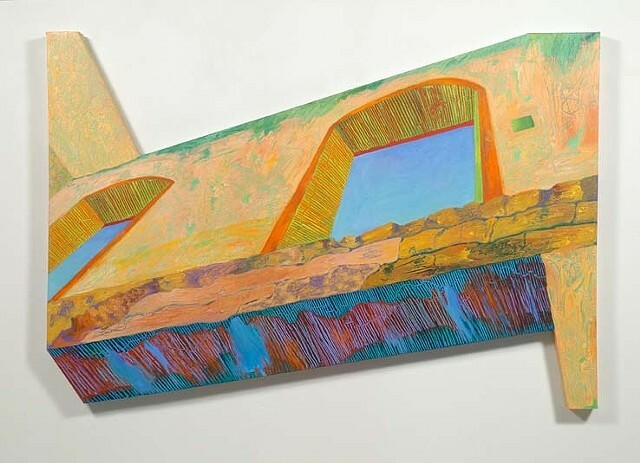 Pinsky has exhibited shaped paintings and rectangular works on paper in numerous solo shows including several at Perimeter Gallery and Nancy Lurie Gallery in Chicago, ArtWorks in Waukegan, Il, and A.I.R. Gallery in New York City. 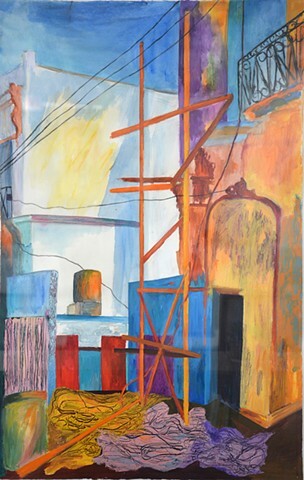 A recent large solo show at Oakton Community College's Koehnline Museum featured fifteen years of work inspired by travel to Cuba.Her work has been seen in numerous group exhibits including the Osaka Triennial in Japan, the State of Illinois Building in Chicago, The Springfield Museum, the Charles Wustum Museum in Racine, Wisconsin, the Ukrainian Art Institute in Chicago as well as gallery exhibits in Rockford, IL, Santa Fe, N.M. and Minneapolis, MN, and Louisville, Kentucky. 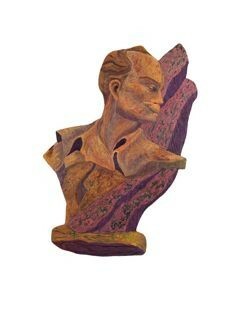 She has been represented by Nancy Lurie Gallery and Perimeter Gallery in Chicago. She is a founding member of Space 900. 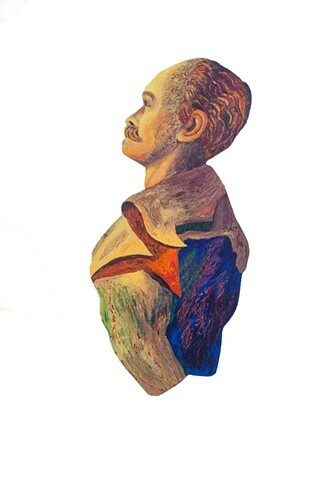 Pinsky’s work is in many private, corporate and museum collections including the Illinois State Museum, Springfield, Il; Oakton Community College; Northwestern University's Department of Mathematics,Honeywell, Inc, Minneapolis, Sandoz Corp, Des Plaines, Il, the Museum of Science and Industry, Chicago and the Loyola Medical Center, Maywood, Il. She has received feature articles in the Chicago Tribune, Crains Chicago Business and Pioneer Press, and her work has been reviewed in The Chicago Tribune, the Chicago Sun-times, The New Art Examiner and Pioneer Press Her work is included in the book, The Chicago Art Scene, by Ivy Sundell, Crow Woods Press, 1999.. Pinsky has a B.F.A. 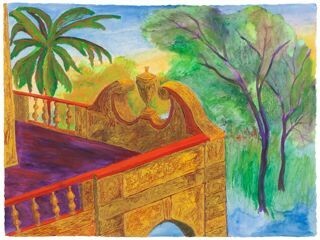 from Cornell University where she majored in painting and studied art history. 46" x 66" x2 1/2"